The Hcigar Towis T180 Mod is set to blow the vaping world apart with its small size and powerful cloud production. It doesnï¾’t matter if youï¾’re chasing clouds or chasing intense flavor from your e-liquid or e-juice, the Hcigar Towis T180 is the vaporizer for you! 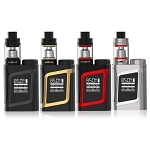 The Hcigar Towis T180 features some exciting new technology including the latest chipset, the XT180. Hcigar has gone out of their comfort zone and produced a vaporizer with a convenient touchscreen display and exciting new design. The Hcigar Towis T180 is powered by two 18650 batteries and can reach a maximum power output of 180 Watts. The manufacturers at Hcigar have included a number of different safety features into the Hcigar Towis T180. 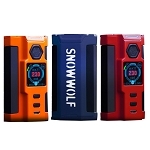 Some of the safety features in the new Hcigar Towis T180 include short circuit protection, low resistance protection, reverse battery protection, high-temperature protection, accidental firing protection and much more. If youï¾’re looking for a compact, sleek, and stylish vaporizer, then itï¾’s going to be hard to pass up on the Towis T180 by Hcigar. Vapor production and intense and delicious e-liquid flavors are just some of the benefits of the Hcigar Towis T180. 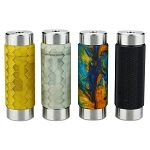 Please note the HCigar Towis T180 requires two 18650 cells that do not come with the device. 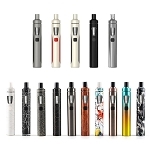 If you need to purchase these items you can include them with your order by selecting the Add Two 18650 Batteries option above, if you any questions about these products please contact our customer service line during normal business hours for assistance.